They may not be interested in powering Red Bull, but Mercedes could provide Manor with engines in 2016. 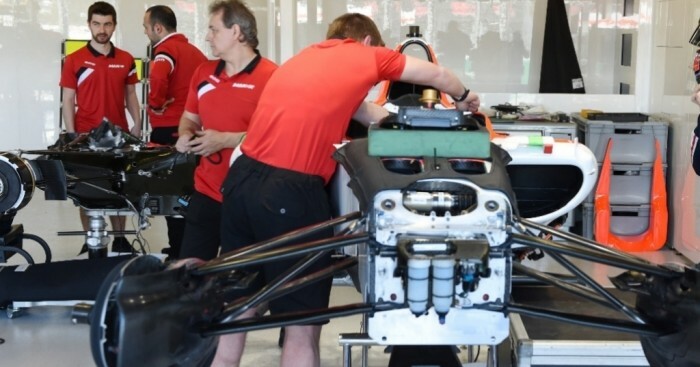 The Yorkshire-based Manor squad are currently powered by Ferrari, but under the current deal they are using 2014 engines while Mercedes supply power units to Williams, Force India and Lotus as well as their Brackley-based works team. There have been reports that Red Bull could become a Mercedes customer team next year, but those hopes were dashed at Monza over the weekend with the Milton Keynes outfit now in discussions with Ferrari. Lotus, meanwhile, appear to be closing in on a Renault takeover, which could pave the way for Mercedes to power Manor. "On the engine, we had some discussions and they're interested in exploring the competitive environment," Mercedes' head of motorsport Toto Wolff told Autosport. "They have a Ferrari engine today but it's a young team and a new team and they need to meet with all engine suppliers and make the best deal for yourself. "This is why we've been talking to them." Under current regulations a manufacturer can only power three teams, but Mercedes received dispensation from the FIA to supply Lotus with engines this year and they will again need permission from the governing body if they are to sign a deal with Manor. Wolff added: "It's a capacity question [with Manor] and at the bottom we don't know what is happening with Lotus and Renault and this is why you have to keep all options open."